"As care takers of Unci Maka (Mother Earth) and Life-givers we hold a responsibility to secure the future for our children and the next seven generations to come." 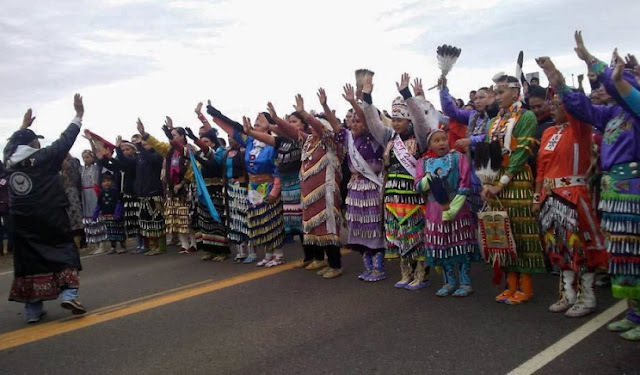 Water protectors opposing the Dakota Access Pipeline are calling on women of all nations and ages to join them at the Oceti Oyate – Cheyenne River Camp this weekend, February 18-19, for an Indigenous women’s gathering. “We are trying to get as many women and people down here this weekend as possible,” said Gingger Shankar, a musician helping to organize the event, in an email. This is because North Dakota Gov. Doug Burgum signed an executive order yesterday (February 15) mandating an evacuation of the camps by 2 p.m. February 22. As Women of Sovereign Nations, Lands, and Waters, we have been given the honor of caring for the earth, the water and all living beings on it. There are special teachings given to us by the Creator that have been passed down through every generation by our grandmothers. As care takers of Unci Maka (Mother Earth) and Life-givers we hold a responsibility to secure the future for our children and the next seven generations to come. 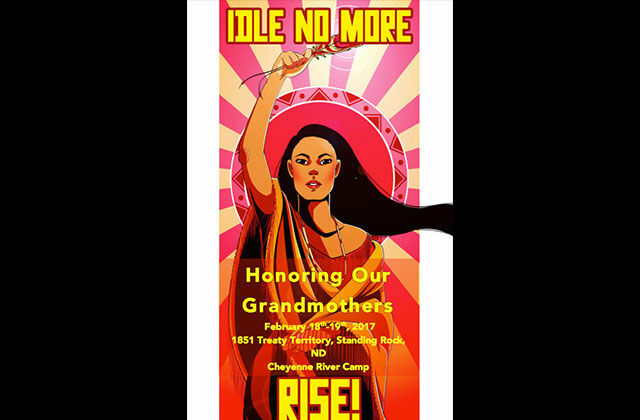 We invite you to join us for a two (2) day gathering as we revitalize that tradition on a large scale for all the grandmothers, daughters and granddaughters to experience and defend our Children's future. The event planners are also calling on “husbands, fathers, sons and all strong warriors” to attend trainings and help with any camp duties. Responses to "Water Protectors Call on Women of all nations to Join Them at Standing Rock"
This is about an Environmental Impact Statement of the DAPL. By law this had to be published.